Dark Hammer Slam Bowser functions both as a Skylanders figure and as an amiibo, switching between the two with a twist of its base. 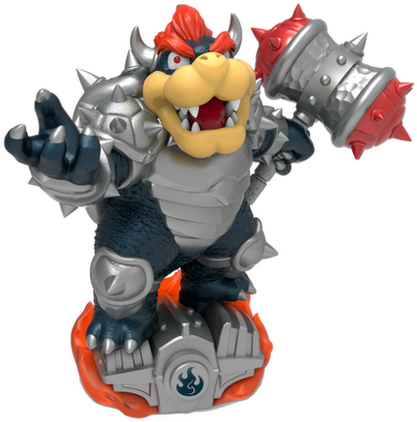 Dark Hammer Slam Bowser is only available as part of the Skylanders SuperChargers Racing Dark Edition Starter Pack bundle for the Wii. In North America, this Dark Edition Wii bundle launched exclusively at retailer Toys"R"Us.